CJ Massinburg dribbles up to a Daemon defender. Massinburg helped lead the Bulls to a historic victory over Syracuse Tuesday night. SYRACUSE — The No.-14 Bulls beat the Syracuse Orangemen 71-59 at the Carrier Dome Tuesday night, in a nationally broadcasted game on ESPN2. Senior guard CJ Massinburg put on an all-star performance, finishing with 25 points, 8 rebounds and 5 assists to continue the program’s strongest season start. Massinburg and the Bulls (11-0) played strong defense all night, with Syracuse (7-4) going 24-of-57 from the field. Buffalo led the game in rebounds, assists and three pointers. This marked Syracuse head coach Jim Boeheim's first loss to Buffalo since taking over as head coach in 1976. Buffalo head coach Nate Oats brought the team with more depth on Tuesday, with Syracuse only playing eight players. The game featured a large number of UB fans, despite being an away game. The Bulls fans could be heard in pockets throughout the Dome. The Bulls had a tough night shooting, with senior forward Jeremy Harris even going 2-of-12 from three. Buffalo was still able to always keep the game close, with a rebound-focused defensive plan. The first half saw both teams exchange shots, with Syracuse holding on to the lead throughout. The second half saw more of the same. The Orangemen were never able to extend their lead to double digits. Buffalo played like a national powerhouse to close the game and found a rhythm through Massinburg, never letting up on Syracuse. The Bulls play No. 20, the Marquette Golden Eagles (9-2), on the road next, with the game being broadcasted on Fox Sports 1. Tip-off is set for 8:30 p.m. Friday night. 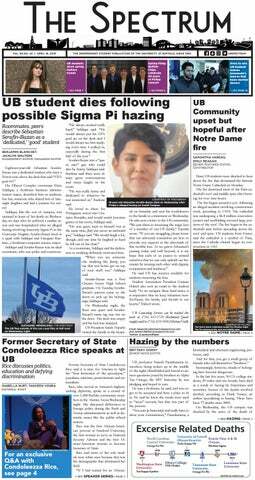 The sports desk can be reached at: sports@ubspectrum.com.